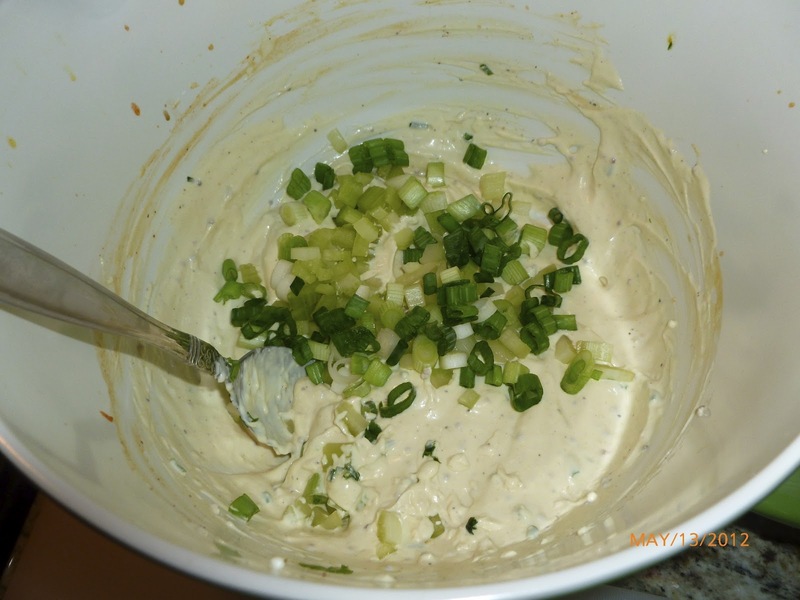 Mix mayonnaise, vinegar, sour cream, mustard, Worcestershire, hot sauce, salt and pepper together. Chop celery, green onion and chives. 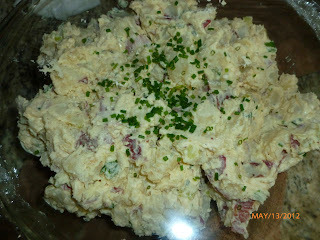 Chop potatoes into small chucks, and add celery, chives and green onions. Toss lightly with mayonnaise mixture to coat evenly, careful not to mash potatoes too much. Taste and adjust salt if needed.